AKIPRESS.COM - A Falcon 9 rocket lifted off from California's Vandenberg Air Force Base on Dec 3 at 1:31 p.m. EST (00:34 Astana time), carrying 64 tiny satellites to orbit. 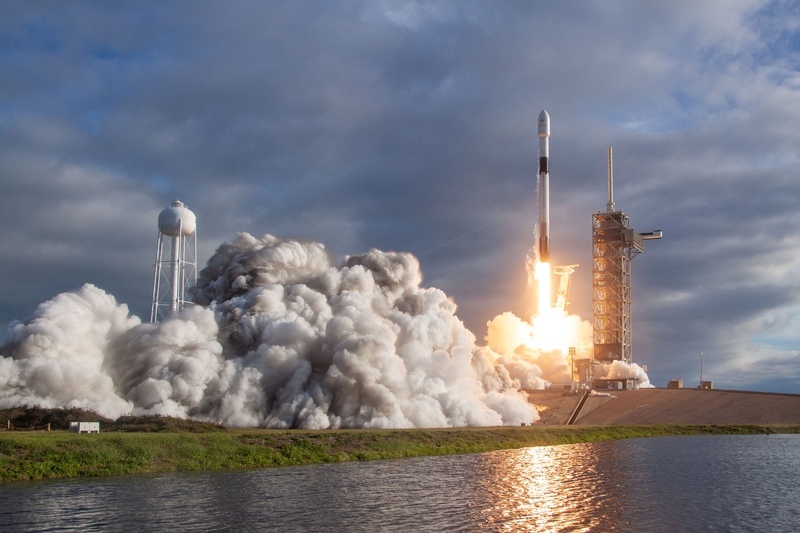 SpaceX has re-flown used first stages many times, but today's launch marked the first time a booster had ever propelled payloads to orbit on three separate occasions. The success is therefore an important milestone for SpaceX, which aims to fly all its vehicles repeatedly and frequently. Such rapid reuse could slash the cost of spaceflight, opening the heavens to exploration, company founder and CEO Elon Musk has said. The rocket carries satellites owned by companies and government agencies based in 17 countries: Australia, Brazil, Finland, Germany, India, Italy, Jordan, Kazakhstan, the Netherlands, Poland, South Korea, Spain, Switzerland, Thailand, Canada, United Kingdom, United States. According to the Ministry of Defense and Aerospace Industry of Kazakhstan, there are two small satellites from Kazakhstan in this rocket: a 100 kg microsatellite for technological purposes and a scientific nanosatellite of 5 kg for studying the Earth’s ionosphere. Deputy Minister Marat Nurguzhin reported earlier that Falcon 9 was set for launch on November 19, but the launch was postponed twice.